Thinking about buying a camera but don't have a clue where to start? We're here to help. And even if you know it all, you may find some alternatives you hadn't considered. Why get a camera when you've got one in your phone? Despite all the advances in phone cameras -- and phone marketing -- they still can't match the quality, speed or control of a good dedicated camera. So some people like to use a separate camera for special events. Not every phone has a good camera and not every phone with a good camera is a great phone. You might want both. 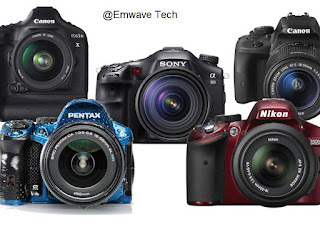 There is no spec that tells you which camera is best. And few specs can be taken at face value. Resolution ("megapixels") doesn't matter unless you're a pro or already understand why. Sensor size, autofocus system and image-stabilization system are among the features that do. Don't get hung up on making sure you've got the "best" or newest in a particular class. The truth is, one camera rarely beats the rest on all four major criteria -- photo quality, performance, features and design. And last-year's (or even the year before's) models tend to be perfectly fine as well as a lot cheaper. Try before you buy. Make sure it fits comfortably in your hand and that it's not so big or heavy that you'll prefer to leave it at home. It should provide quick access to the most commonly used functions, and menus should be simply structured, logical and easy to learn. Touchscreen models can allow for greater functionality, but can also be frustrating if the controls and menus are poorly organized. You can always buy a better lens to improve photo quality and performance. If you need a wider or narrower angle of view, you can always get another lens to cover it. You can get a faster (i.e., wider maximum aperture) lens if you need better low-light performance. The compacts tend to be much smaller. The bridge cameras tend to cover a zoom range that would be prohibitively expensive and/or heavy in a standalone lens. Swapping lenses on an ILC can be a pain. Frequently, the kit lenses that ship with ILCs frequently aren't as high quality or wide-aperture as the fixed lenses. Many people never buy a second lens, anyway. If you decide to go for an ILC, you then have to choose between a dSLR vs. a mirrorless. Sadly, many people have it fixed in their heads that dSLRs are the be-all and end-all of high-quality, high-speed photography. Not true. The image quality for mirrorless models is extremely similar to that of a dSLR with the same size sensor and an equivalent lens, and the performance of the midrange and higher-end mirrorless models has gotten really competitive, with sophisticated autofocus systems and fast continuous-shooting speeds. Keep in mind that you're usually better off spending more money on a better lens than on a more expensive body. DSLR's use optical viewfinders, and a cheap dSLR's optical viewfinder is usually better than the electronic viewfinder (EVF) on an inexpensive mirrorless for shooting action where the EVF may not refresh quickly enough. That gap is narrowing, though. The battery life of a dSLR -- any dSLR -- is better than that of most mirrorless cameras. You can use old lenses from film cameras without an adapter, and because dSLRs have been around so long there's a huge selection to choose from. Current-model cheap dSLRs tend to be cheaper than current entry-level mirrorless cameras. Most of them are smaller, and their lenses concomitantly smaller, than a dSLR's. Micro Four Thirds lenses (Olympus, Panasonic) are smaller than those for APS-C cameras (everybody else). Shooting video with a good mirrorless is a much better experience than shooting with a dSLR because the view through the LCD and autofocus performance makes it easier and requires less rigging out. The lack of a mirror makes a lot of features with real-time preview possible, like watching a long exposure build and mixing and matching filters. The newer, midrange to expensive mirrorless models have better image stabilization (IS) than dSLRs because the latest IS technologies intelligently combine sensor shift and optical IS, while (at best) dSLRs use optical combined with less powerful digital IS (but usually just optical). How important is photo quality? If the answer is "very," then you should consider sensor size in your decision. As a rule of thumb, bigger is better. The trade-off is that the bigger the sensor, the more expensive the camera tends to be. Is the quality and control over video important? If you just want to shoot casual video, then you want a camera with good autofocus. For something better, you need 4K support plus advanced features like all-intra (All-I) codecs, customizes able tone curves, lots of frame rate options and touchscreen controls. How important is low-light quality? If it's important, you have to compare maximum native ISO sensitivity capability (not the "Hi" or expanded ranges), choose the largest sensor size you can afford and a system with good image stabilization so you can use slow shutter speeds. Do you need a really long zoom? The days of worrying about shutter lag are pretty much over. Now you just need to make sure the autofocus system is fast and accurate enough to capture the type of scenes you want. The exception is if you intend to shoot action. If you do, then you want a camera that not only has excellent autofocus and fast continuous shooting, you need one that offers decent photo quality in the ISO 800-ISO 6400 range because you'll need to bump it up there to set a sufficiently fast shutter speed (usually upwards of 1/500 sec) to capture the action you want and still maintain a correct exposure. Are you planning to photograph in the wild? Look for good body construction with dust-and-weather sealing. Only a handful of cameras are also coldproofed down to 14°F/-10°C or submersible without a housing. If you plan to be away from a way to recharge for more than a day, you should consider that dSLRs have significantly better battery life. Or be prepared to buy a handful of extra batteries for any other type of camera. Will you use wireless a lot? While almost every camera incorporates Wi-Fi (or Bluetooth as a cheap alternative) to upload photos, not all the implementations are created equal. Definitely search the web for complaints about the apps or connection issues before settling on a camera. Do you want a viewfinder? Viewfinders are really helpful for anyone when shooting in direct sunlight when you can't see the LCD. In addition, when looking through a viewfinder your arms are down at your sides which makes it easier to hold steady than the arms-outstretched alternative.